What makes an MMORPG the best? People tend to be a bit picky about what they choose. With the huge number of choices we have on MMORPGs, it is hard to find one that you like. Are you an action-explosion fanatic? Or is it being a master businessman? Is it just completely losing yourself in a different world dedicating to getting from the lowest ranks to the top dog with pure hard work and smart gaming? No matter which kind of gamer you are, there is an MMORPG for you. This isn’t a ranked list. I just want to help you find a game that is just for you without compromising elsewhere. So dive in to discover some of the best MMORPGs around.! The undefeated reigning champ of MMORPGs. Ever since its release in 2004, players worldwide have flocked in the millions to play the best MMORPG ever. You could write an entire article on why you should play this one. Blizzard offers a reason to get into WoW for every kind of gamer. Lazy casual trying to entertain yourself? Try the dungeon search. Dedicated gamer wanting to squeeze every ounce of juice from the game? Try the challenge mode or the mythic raiding modes. Every time subscriber base reduced, Blizzard would release a new expansion and players would get back in the game. Every expansion brings completely new gameplay into the fray. Great PvP, PvE, ever expanding player base and nearly unlimited funding from the community means WoW isn’t going down anytime soon. For an overall excellent MMORPG and a definitely immersive quest line and story, we recommend you to try WoW as soon as possible! Hands down, the combat in Black Desert Online is truly amazing. It is breathtakingly fast and beautiful with great animations and explosive action. If you like taking hits, dealing some damage and looking good while doing that, this game is just for you. With never-ending possibilities to story and missions, the combat goes hand in hand with the other features of the game. BDO offers players the possibilities to take on a variety of different roles within the game world with thirteen different classes to choose and develop. They each have their own fighting style and abilities like other MMORPGs and involves the classic leveling and questing system. All that aside BDO is a beautiful and well-developed game with an expanding community with the recent XBox One launch. 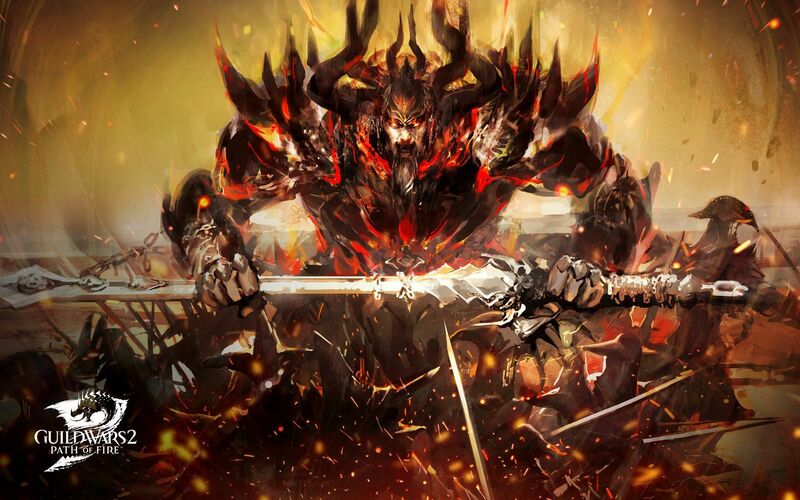 Expect to fight like no other MMORPG lets you to. If You are a Skyrim fans there, this is a must play. Although a lot different from it, it borrows some of the best lore and quest writing that Bethesda has put into its other offline games. If you’ve played other Elder Scrolls games, you had the chance to explore chunks of the massive continent of Tamriel. In ESO, you get the entire continent to explore. 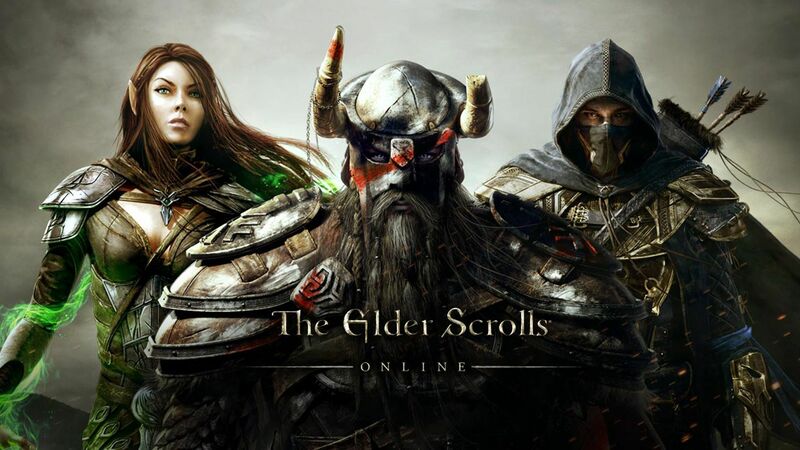 Eos has no level limitations to hinder your exploration, you can dive into the beautiful world of Tamriel, meet iconic characters and take part in a great questline from the get-go. With only five classes to choose from, the game does not focus much on the MMO aspect. You can go solo for most of the initial quests. For a veteran Elder Scrolls player, this should be no hurdle as the deep lore and immersion are sure to pull you in and eat up large portions of your time. Have you ever thought that sticking to one class and character build is too restrictive? Are you the type to try out and master every ability and weapon out there? Skyforge lets you do just that! Being able to change your class with the click of a button, you can experience every style out there before settling to one that offers you the most satisfaction. Or don’t settle and develop all the different classes simultaneously. 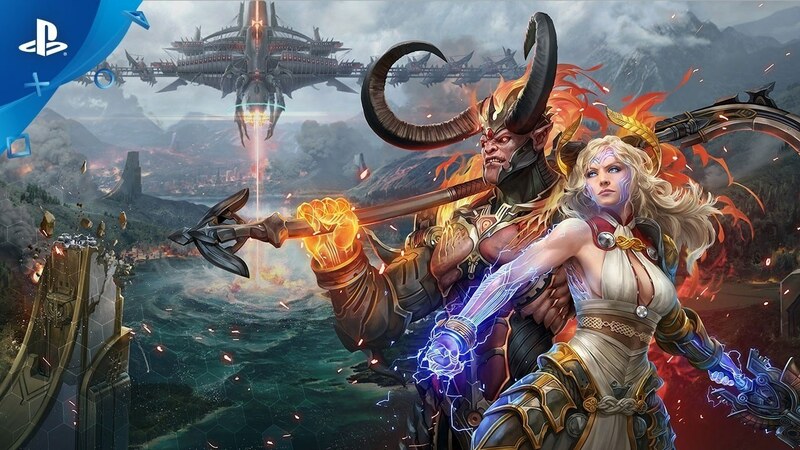 Skyforge also features an integrated social network and lets you connect with the other players even when not playing the game. This means you can plan raids or other events and choose just how you want to tackle the vast hordes of enemies thrown at you as an immortal god!! The non-targeting combat system is also something worth mentioning with some elements borrowed from other console games like dodging and combos. The thirteen classes each fulfill their roles in ways unique to Skyforge. If maximum character freedom is what you’re looking for, look no more than Skyforge. Exploration, mining, community, combat, and a vast world make for a great MMORPG. What would all this combined in space give us? EVE Online! Within EVE you take control of ships and explore the vastness of the intergalactic world while battling against or along with others like you. This ever-expanding sandbox boasts a thriving player economy with mining, industry, and combat all embedded into some great gameplay that arises out of being in space. If you ever wanted to experience a different sort of role-playing away from the confines of our world, EVE is a must try! Got the heart of a great businessman? Ever wanted to actually profit from your hard work the way you want to? 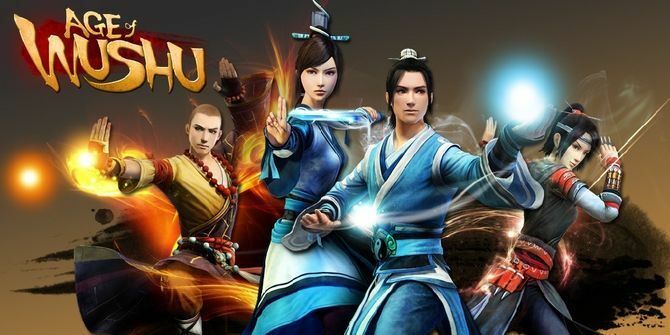 Give Age Of Wushu a try! What’s better than a deep and completely player controlled economy system set in an ancient Chinese setup? Ever thought the gravity-defying feats of the martial artist was uber cool? Now you get to make your character do all that. Age Of Wushu includes a remarkable way to develop your character. As a break from the usual grind and find the gameplay of most MMOs, it brings the amazing ‘cultivation’ system into play. Your character can develop even when you’re offline. You can also get your character to do certain jobs that range from begging to cooking and smithing. This means you are always depended on the services of other characters while they are on yours and this leads to a really dynamic market that takes time and effort to master. For a fresh look at martial arts and rewarding marketing skills, try Age Of Wushu. A great action combat system and some of the most amazing graphics in an MMO, Tera offers a breathtakingly new perspective. Get ready to be overwhelmed by the seven distinct races and ten character classes to choose from. Explore a vast world across 4 continents and 80 massive zones. You are sure to never get bored with the immersive combat system that keeps you on your toes to dodge, aim, jockey and time your combat. If getting pit against giant monsters in high definitions graphics is your cup of tea, you have to take a sip off Tera, maybe even drink the whole cup! Craft and swing a lightsaber? Check! Take part in blaster shootouts? Check! Choose the light side and do good or choose the dark side and wreak havoc? Check! 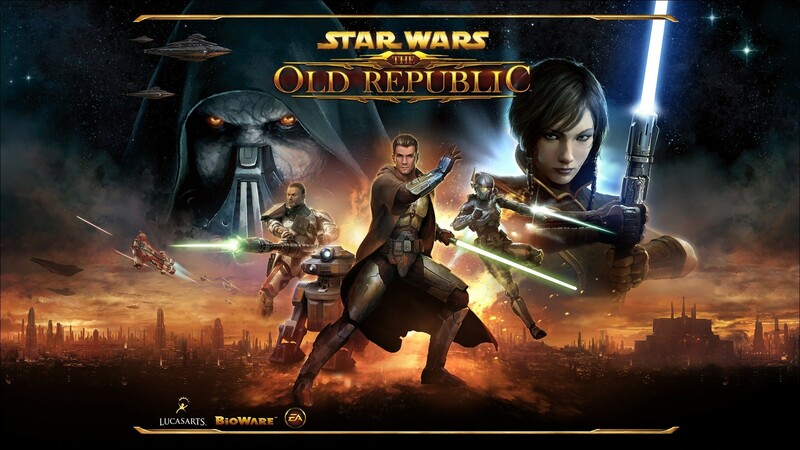 Immerse yourself in your own Star Wars story? Check! With a massive galaxy to explore and absolute interplanetary awesomeness, there’s nothing more to be said about this gem of a game. Guild Wars 2 is a living, breathing fantasy world that grows and evolves with the players in the game. Dynamic events, a feature found in no other game, leaves you guessing and thinking at all times. You never know when a monster will attack a nearby village and you are called to action. You could be strolling and taking in the scenery and you’ll come across a massive world boss with hundreds of players trying to defeat it. Take this living world and add thousands of quests to multiple expansions, massive world to explore, and a deep and detailed character creation; you get Guild Wars 2. The action-oriented combat system can get a bit monotonous but you’ll hardly notice as you don’t grind for experience. You build your character by completing quests and world events. Together with a great PvP platform, GW2 makes for a memorable experience. Square Enix has always delivered wonderful JRPGs. 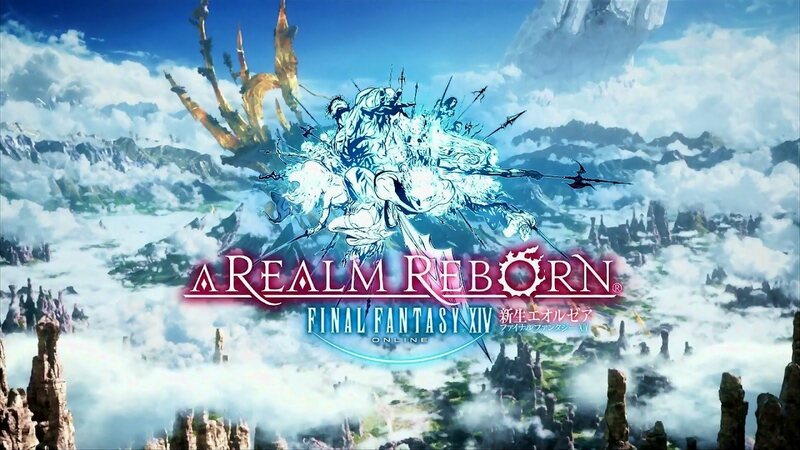 So when the original Final Fantasy XIV was a let down to Final Fantasy fans worldwide, they scrapped everything off the table and started a new to bring us one of the best MMORPGs ever made. Think of it as any other Final Fantasy game, except you are not soloing anymore. Join thousands of other players worldwide as you dive into a world filled with all the FF hallmarks – airships, chocobos, moogles and more. Easily one of the best MMO storylines, you are pulled in from the beginning. From character creation to building and leveling, A Realm Reborn beautifully takes all of Final Fantasy and weaves the perfect MMO. This game is surely a great first MMO for a gamer.